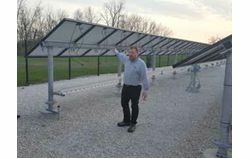 The potential offered by these large-scale storage systems is particularly clear when they are used in conjunction with PV, because solar power is becoming ever more affordable thanks to the continuously falling prices of PV systems. During an awards ceremony at Intersolar North America, the Interstate Renewable Energy Council (IREC) today honored its 2018 3iAward recipients, celebrating the nation's best innovation, ingenuity and inspiration in renewable energy and energy efficiency. 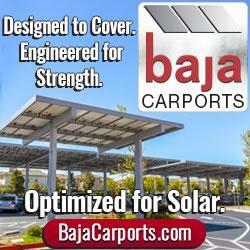 Intersolar & ees North America will take place in San Francisco, CA July 10th - 12th. This AltEnergyMag.com Special Tradeshow report aims to bring you news, articles and products from this years event as well as Intersolar & ees Europe in June. 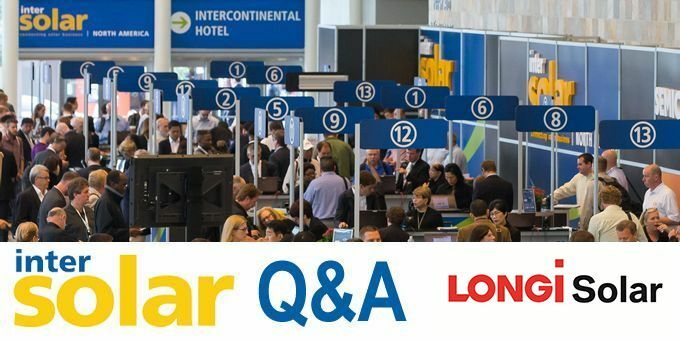 Intersolar is your international platform for industry professionals and exhibitors from more than 80 countries, which are soon to be your future partners. The innovative power of the industry is on full display at every booth. The new panel breaks fresh ground for REC and the industry: this is the first solar panel to combine n-type mono half-cut cells with a twin-panel design, and promises excellent power output of up to 330 watt peak allied to lasting performance. Following the recent debut of its EV-charging single-phase inverter, SolarEdge will now also provide a standalone EV charger that offers greater system design flexibility, specifically for sites where the inverter and EV charger cannot be installed at the same location. IMO Precision Controls will be exhibiting at Intersolar Europe booth B3.149. We will be exhibiting our two core solar safety products - the FireRaptor Solar Panel Rapid Shutdown solution, and the SI/SIM ranges of TRUE DC solar isolators. Amptwill be exhibiting at Intersolar & EES North America booth #8541. Ampt will display new products for repowering existing PV systems to improve performance or to enable low cost replacements of legacy inverters when needed. Outback Power will be exhibiting at Intersolar Europe Booth B1.182. We will have on display, a complete range of energy storage based solutions and battery options ranging from flooded lead acid all the way to Lithium ion. GameChange Solar will be exhibiting at Intersolar North America Booth #9421. We are excited to share the owner and installer benefits of our Genius Tracker system which increases leveraged ROE up to 30 % for owners. The integration of SRE technologies with solar and energy storage will only increase during the transition to renewable power. An expected 16,000 attendees at both events will have a first glimpse of these emerging smart technologies and new market growth opportunities.